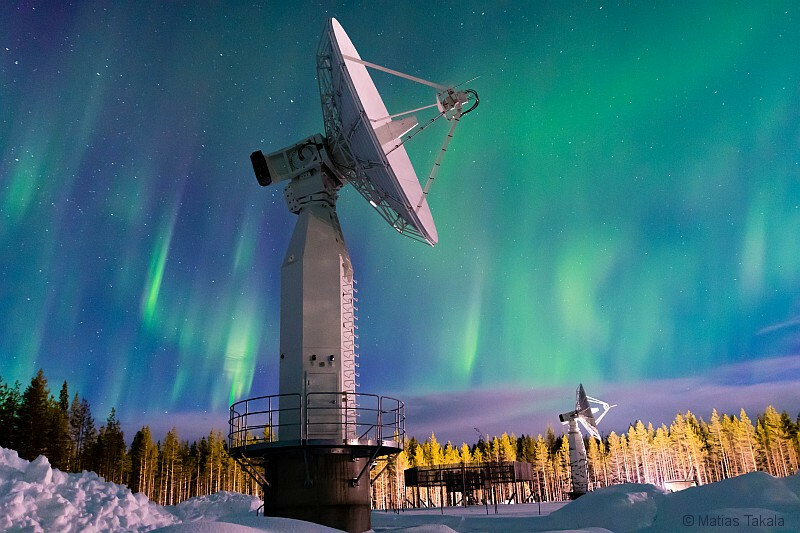 Arctic Space Centre located north of the Arctic Circle in Sodankylä (67°22 N, 26°39 E) lies in an excellent location for receiving data from all polar orbiting spacecraft. ASC operates the satellite antennae: one antenna dedicated to direct broadcasting mission and two highly versatile 7.3 meter X-band antennae provide multi-mission support and are used to downlink data from various spacecraft like COSMO-SkyMed, Sentinel-1 and Suomi-NPP satellites. The flexibility of ground station system allows easy scheduling of new satellite missions to the operations schedule. The other 7.3 meter antenna also has S-band up-/downlink capability. Sodankylä National Satellite Data Centre focuses on fast delivery remote sensing product generation for scientific and commercial uses. The data centre's high performance computer arrays are capable of processing vast amounts of satellite data to value adding products to various users. The products can be delivered directly to customer or to large data archives for bulk use. Satellite data and products are transferred to users with no delay using high speed optical fiber.